Intel, once again, turns the wheel in developing new CPUs a rung further. After changing the CPU architecture that as a result generated the efficient i7 quad-core chip last autumn, a step has now been taken in direction of minimizing the manufacturing process from 45 to 32 nanometers. The outcome: More transistors on a smaller area and which will hopefully also bring a performance gain. For us, it's again about time to get an overview of Intel's current CPU range. Intel officially launched three different chip series, named Core i3, i5 and i7, onto the market all at once. Of course, many notebook buyers are now asking themselves if it's worth waiting for an accordingly equipped model or if you can still buy one of the many well-known Core 2 Duo chips. Our following performance check compares the new chip's possible performance with the known Core 2 chips and should supply an overview of the current range. As so many times before, the German notebook distributer, Schenker Notebooks, has supplied a test platform for our CPU comparison. The mySN MB6 (German site) is a barebone (W760C/CU) from the Taiwanese manufacturer Clevo. 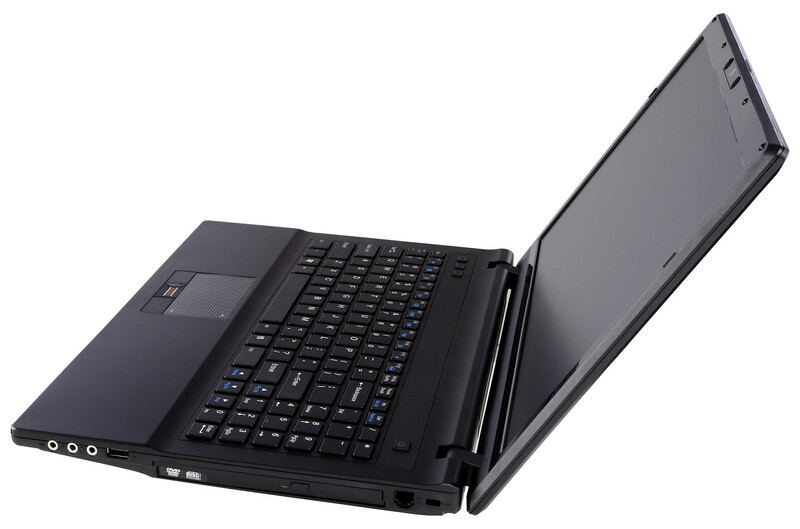 Shenker Notebooks categorizes this device as an efficient business notebook. This is also shown in the given display options where both a HD (1366x768), as well as a HD+ (1600x900) with glare or optionally also a matt surface are available. The UMTS module integrated into all models might also be interesting for business customers. Last but not least, there is also allegedly a 9 cell battery, which should provide the 15 incher with an adequate mobility. 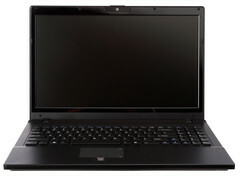 The new Intel chips contain an own graphic unit (GMA HD) but the notebook is allegedly also offered with an ATI Mobility Radeon HD 4570 graphic (non-hybrid). Our tests have been unexceptionally executed with the CPU internal graphic unit. A pre-series notebook for first CPU tests has been made available, whereas the bios version doesn't correlate to the upcoming models to be sold. We have already given a preliminary introduction of Intel's current "innovation" in the scope of this report. 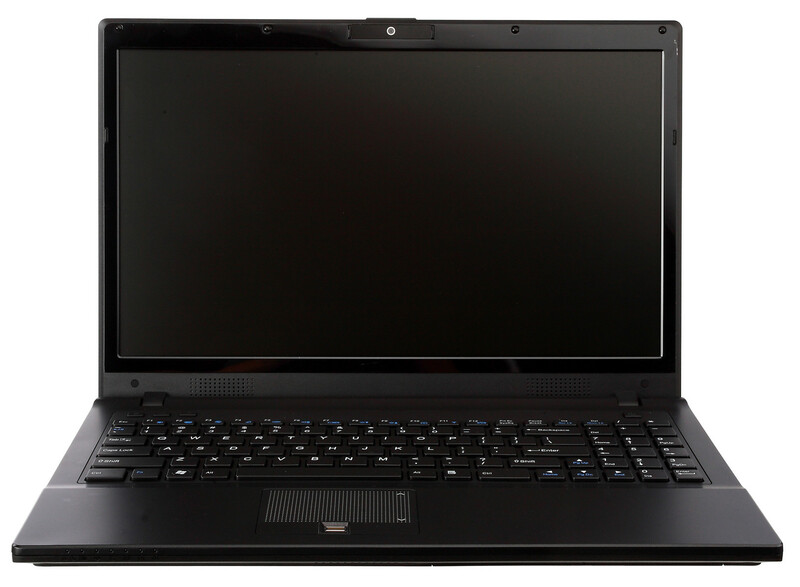 There is also an existing review of an Arrandale notebook already available – the Dell Studio 1558 with special focus on CPU performance and the integrated Intel GMA HD graphic. You will find more in-depth information in these articles. This editorial looks closer at the performance differences of the new CPUs. A total of five chips were available for our test. The Core i3 was missing from the regular assortment. Also, the new ULV chips won't be examined at the moment, as there aren't any test systems available yet. A mandatory "initiation rite" of new processors is the proved and tested Cinebench R10 benchmark test, which checks image rendering with either one single physical core or with assistance of all available cores. Depending on the given cores and the velocity, it's valid that the higher the achieved score, the faster the rendering is finished and the higher the rating in the single task will be. The test has been executed in both the 32 bit and in the 64 bit version, which also supplied the best results under Windows 7 Home Premium 64 installed on our test system. So much first: the results of the tested new Core-i chips are impressive. As expected, the single CPUs position themselves accordingly to their manufacturer information. The i7-620M CPU, with 3346 points in the single CPU rendering test (32 bit) defines the top, as it's practically identical to the hitherto strongest dual-core CPU, the Core 2 Extreme X9100. However, the chip can take the lead on the X9100 in the multi-core rendering test and outpace the X9100 by about 15% with a bit more than 7000 points. Naturally, you can argue about the accomplishment of a 15% gain, but if you consider that Intel currently lists the X9100 CPU at a proud price of 851 US dollars and the i7-620M is listed with 332 dollars, this comparison is put in a different light. The new Arrendale chip's result is put to the limits in the 64 bit test. With 4136 points in the single CPU rendering test and 8680 points in the multi CPU test, the dual-core chip gets treacherously close to the 64 bit results of the Core 2 quad and Core i7 four-core chip that, naturally, still have a lead with 10000 points and more. This relation is even maintained in the 32 bit test. The very tight range of results of the single chips are, in our opinion, also very interesting. Thus, the i7-620M CPU only has a lead of about 3% on the i5-540M chip in the multi CPU test and merely 6% in front of the i5-520M CPU. This difference first becomes obvious in the lower positioned i5-430M chip (+21%) and the i3-330M (+31%). The prices for these chips haven't yet been made but, in view of the very evident performance boost, there will likely be just as an evident price difference to the i5 middle class chips. When the pure computing power of a single core is to be looked at, the SuperPi tool is always the first choice on the benchmark list, even by overclockers. Getting as close as possible to a preset value of pi (1, 2 or 32 million decimal places) occupies the chip for a certain time and is considered to be the indicator for its efficiency in the end. A very similar picture as already in the Cinebench test becomes visible in this exercise. 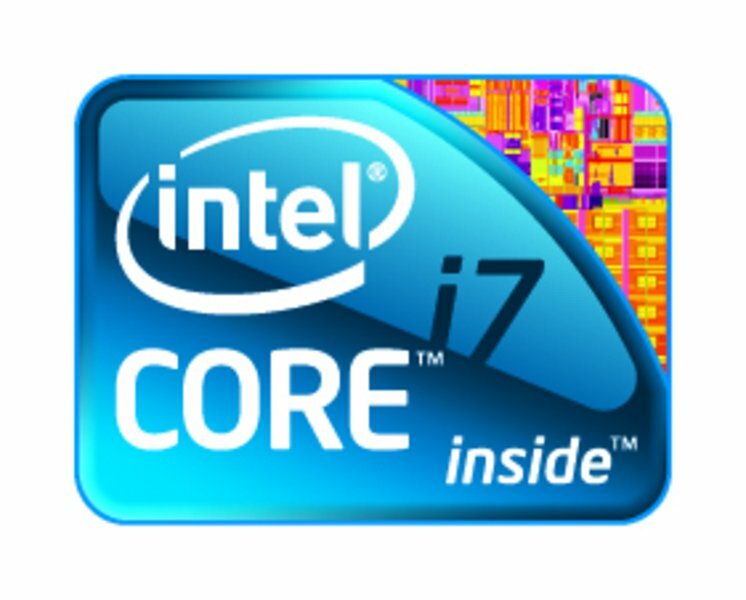 The i7-620M CPU has a clear lead with 799 seconds in the 32M test, followed by the i5-540 chip (+6%) and the i5-520M CPU (+12%). The i3-330 CPU, which needs about 42% longer for computing than the i7-620M, lags very obviously behind. This relation is also pretty much confirmed when both highest possible clock rates of 2.13 to 3.33 GHz are compared. We also used the efficient X9100 Extreme CPU for comparing the "old" Core 2 generation. On average it only was able to reach the level of the i5-520M CPU with 906 seconds in the 32M test. The i7-620 chip can very evidently outpace the previous leader of dual-core chips with a plus of 13%. PCMark 2005's successor of application benchmarks evaluates the system's overall performance in view of single divisions. Because we reviewed the Arrendale range on one and the same test system, the recorded differences are primarily the direct result of the used CPU. The comparison to the X9100 should be taken with a pinch of salt because it has been tested on another, even if more efficient test platform (mySN XMG7 / Clevo M570TU) and numerous other components might influence the overall results accordingly. As expected, the efficiency of the single CPU has a direct impact on the test's total score. Apart from the "HDD Test Suite", which merely checks the used hard disk's performance and is consequently almost always the same, a constant increase of the Core i3-330M up to the Core i7-620M CPU can be seen in almost all sectors. That is, with one exception: The 620M, 540M and 520M chips show an excellent rate in the "Communication Suite". To be more precise, PCMark Vantage tested coding and decoding of data, data compression, email search and audio transcoding, all of which are very CPU-biased applications. The reason could be special features in the new Arrendale CPUs that can score especially in the cited processes and which have been left out on the smaller chips (new AES instructions, Intel trusted execution technology). Even if these can't be directly compared to each other because of a different test platform, as mentioned above, a glimpse on an X9100 test system's result is exciting. In particular, the new features and the result's progress in the communication test rewards the 520M, 540M and 620M with a boost in the overall score. 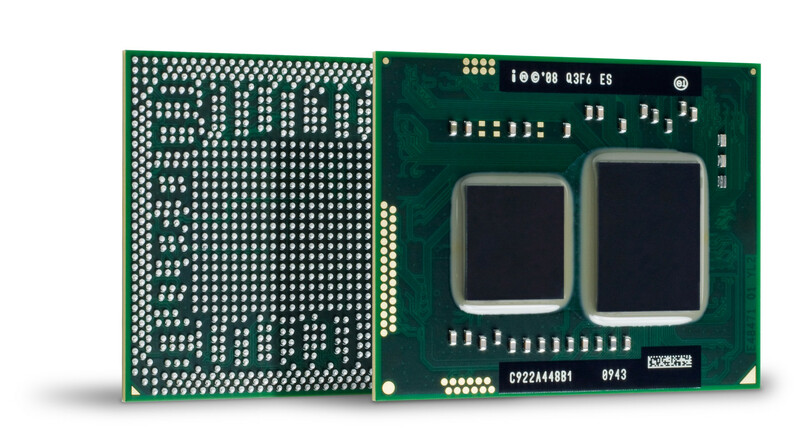 All tested CPUs with the Intel GMA HD have a CPU integrated graphic solution. Our first tests on Dell's Studio 1558 certified Intel's new graphics a performance gain of up to 40% in comparison to previous Intel GMA 4500M HD graphic chip sets, depending on the application. Thus, Intel raises the starter level with integrated graphics to the former starter range of dedicated graphic cards from Nvidia and ATI. The results of all chips, with exception of the Core i3-330M CPU, are very close to each other in the 3DMark 2005 benchmark test on a level of about 3300 points. The tested i3 CPU only achieves 3035 points in the same test range, so about 10% less. Intel states the GMA HD graphic's clock rate of all chips with 500 MHz. The maximum clock rate (even the graphic chip can overclock), however, is with 776 MHz higher in the i5 and i7 CPUs than that of the i3 chip (667 MHz), which might ultimately be responsible for the observed differences. The 3DMark 2006 benchmark test basically shows the same course, but we could also establish a cave in of the i7-620M CPU to the level of the i3 CPU. A possible explanation could be a TDP (Thermal Design Power) bottleneck that doesn't allow the integrated GMA HD graphic chip to overclock to its maximum any longer. Even if we will see Intel's GMA HD graphic solution in gaming notebooks as a hybrid solution at best, we were interested in the graphic chip's performance in a practical test, anyway. An especially CPU intensive strategy game, Supreme Commander, was applied because of the vast maps with numerous AI units. The integrated performance test was used for comparison, as its report also specifies the average frame rate in the end. The results of the single chips stayed very close in all executed tests. Merely the i3 CPU generally lagged behind a bit. Therefore, a CPU starting at Core i5-430M and up should be recommendable for games. As before, the major part of gaming performance in the future will also be put in the responsibility of graphic cards. Although Intel states a TDP (Thermal Design Power) of 35W for all tested chips, the nominal power consumption turn out very different in the single tests. The total system's power consumption was measured between the mains and the adapter in following performance profiles: idle min. (energy savings mode, min. display brightness), idle max. (high performance mode) and under CPU load (high performance mode, Prime 95 Torture Test – in-place large FFTs). As you can see on the recorded measurements, Intel's Core i5 chips are all very close to each other in idle power consumption and the maximum power requirement and barely differ. The test system consumes about 30W more from the mains under load. The Intel Core i3 CPU proves to be a bit more humble under load, as it then treats itself to about 4W less than the i5 chips. Even if the i5 processors have a slight lead in many exercises in terms of performance, the i7-620M CPU reveals itself as being especially energy devouring. The CPU treats itself to about 15W more, with up to 64.7W under load, than the i5 colleagues. The test system also needs around 10W more in idle mode with 30W than the configuration with a Core i5 chip. The i5 and i7 chips are very close to each other in a price range of 225 to 332 dollars. This also applies to numerous performance tests, whereas the Core i7-620M usually has the lead, but the distance to the Core i5-540M frequently stays in the lower one-digit percent field. The upper class i5 chip and the i7 CPU could distinguish themselves clearly in the PCMark Vantage benchmark test, which is due to single CPU features that are only available in the top models. The GMA HD graphic solution also supplies good performance. It turns out a bit lower than in the Core i3 processors because of the lower transfer rates but is much more superior than the previous GMA 4500M HD graphic chip set (up to 40%), anyway. The observations of the i7-620M CPU's GPU performance also turn out to be interesting, as they can be a bit below the i5 results, depending on the test. The i7-620M CPU's considerably higher energy requirement might play a role here, as the total TDP is limited to 35W here as well and the GPU might be impeded a bit in terms of overclockability. Comparisons to the previous Core 2 Duo chips, in particular the Extreme X9100 CPU, verify Intel with the new Arrendale architecture. The i7 and i5 chip could keep up with the hitherto most efficient CPUs and even partly outpace them. The new Intel CPUs are seen as a "hot topic" for the configuration of upcoming notebooks, not least because of the interesting price design. If you consider the criteria price, performance and power consumption, the Intel Core i5 should be exposed as the obvious winner. 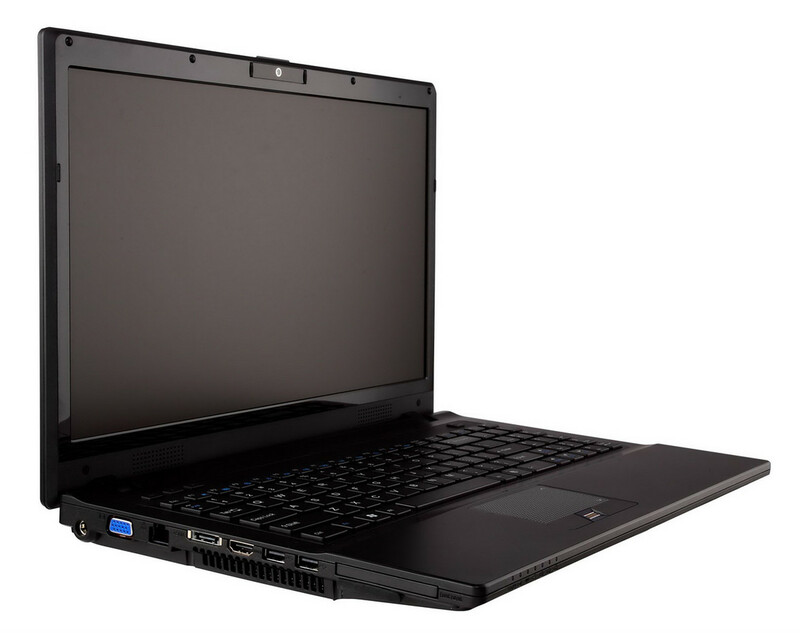 You can get the considerably stronger Core i5-520M starting at 225 dollars (compare: Intel P8700 209 dollars). Intel Core ix Processor "Arrandale"
Many thanks to Schenker Notebook, who kindly provided us with the test device. You can configure and purchase it here, as well.